Conor Winn; Damien McNulty, Keith Cowan, Packie Mailey, Thomas McMonagle; Josh Mailey (Ger O'Callaghan 80); Michael Funston (McGrory 65), Pat McCann, Gareth Harkin, Ciaran Coll (McCarron 65); Kevin McHugh. 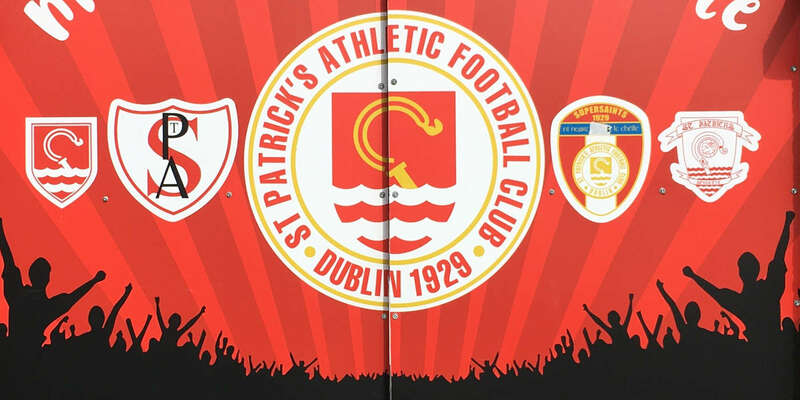 St Patrick's Athletic will hope to finally end their long drought in the FAI Cup as double strikes from Killian Brennan and Conan Byrne helped them ease past Finn Harps 6-1 and into this year's final after a one-sided last four clash at Richmond Park. It will be St Pat's eighth final appearance since last lifting the famous trophy in 1961. 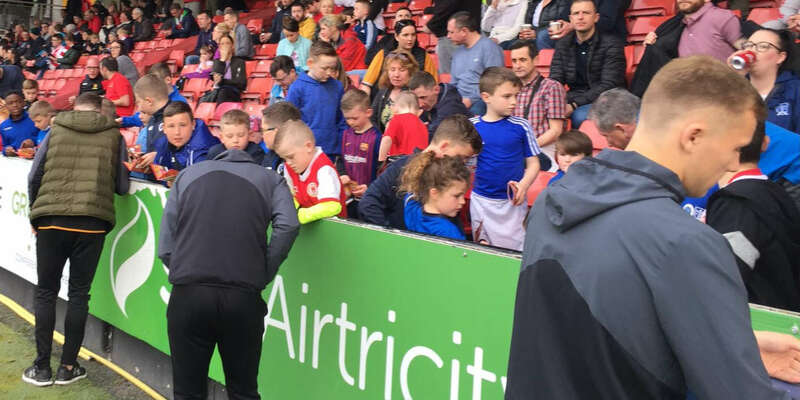 Liam Buckley's side will meet either Shamrock Roversor Derry City in the decider at the Aviva Stadium on 2 November, after there was never any fear of the First Division side - who finished with ten men and also had boss Ollie Horgan sent to the stand - upsetting the form book in Inchicore. Indeed, Harps started a trifle nervously with keeper Conor Winn combining with a post to turn a Christy Fagan cross out for a corner. James Chambers then fired wide after Sean Hoare nodded down Brennan's deep cross, all inside the opening four minutes. Pat's maintained their dominant start with Byrne shooting off target while Chris Forrester had appeals for a penalty waved away on 18 minutes after Keith Cowan appeared to pull him down. Brennan curled a left-foot effort up and over the wall into the far right-hand corner of Winn's net. Full of confidence now, the home side came close to doubling the lead five minutes later when Ian Bermingham forced the Harps keeper into turning a drive into the side netting. But the home crowd were silenced as the big contingent of away fans in the shed end went wild as their side levelled from their first corner of the game on 29 minutes. Gareth Harkin's delivery to the back post was poorly defended as central defender Packie Mailey's towering header ended up in the net. 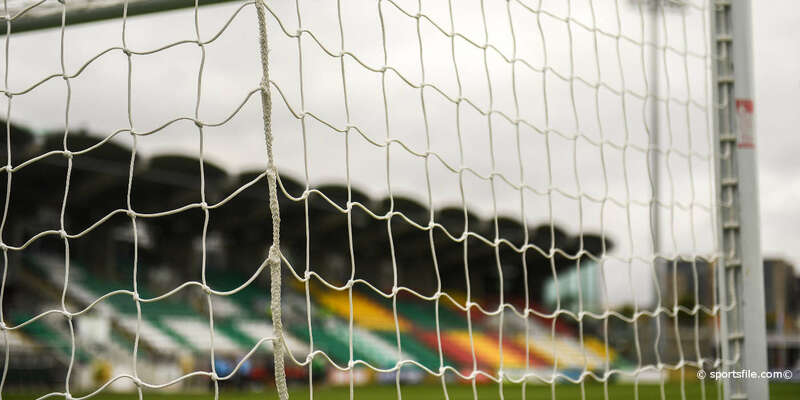 A little rattled, the Premier Division outfit allowed Harps to enjoy their best spell of the game with Pat McCann having a shot deflected wide. But normal service soon resumed as Pat's restored their lead on 37 minutes. Brennan whipped in a corner from the Camac side and central defender Hoare's downward header found the bottom corner. Referee Dereak Tomney then incensed the home faithful when turning down a second penalty shout four minutes later when Packie Mailey clearly deflected Fagan's shot out for a corner with his hand. It mattered little, though, as the Inchicore side scored again on 44 minutes. Fagan's sublime ball put Byrne in on goal and the winger chipped Winn with Packie Mailey unable to clear off the line. Forrester almost added a fourth before the half-time whistle but his lob was just over the top. Brennan did extend Pat's lead on 64 minutes, skipping around Winn to volley home from an angle after running onto Keith Fahey's sublime through ball. Fagan made it 5-1 six minutes later when shooting under Winn after the ball broke kindly for him. Byrne's second of the game then arrived on 78 minutes as he got in behind to score from a tight angle. Harps had midfielder Harkin shown a straight red card for a foul on Chambers on 82 minutes with Horgan sent to the stand for dissent. Harps' substitute Sean McCarron was then lucky to get away with just a yellow card for a bad tackle on St. Pat's substitute Sam Verdon who had to be taken off on a stretcher.